Aesthetic specialists at UF Health Plastic Surgery and Aesthetics Center offer a professional, caring environment to address concerns with your appearance. Non-invasive treatments offered through our clinic provide an easy, short- to medium-term solution to these issues. If carried out in the right way, treatments like Botox® and dermal fillers can make you feel years younger and more confident. In the last several decades, tremendous advances in non-invasive, cosmetic treatments have made revolutionizing your look and feel quick and easy. 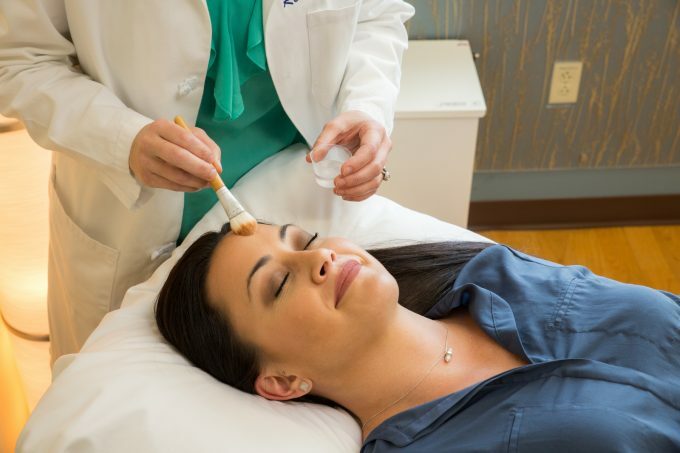 UF Health specialists at the UF Health Plastic Surgery and Aesthetics Center make non-invasive, cosmetic treatments accessible to women and men across North Central Florida at an affordable price. These treatments of course should only be done responsibly and not to satisfy someone else’s desires. UF Health aesthetic clinicians have their Physician Assistant degree and have experience in helping women and men address concerns with their appearance. Support staff and additional supervision from a UF Health plastic surgeon help ensure you receive the proper type and amount of treatment to accomplish your goals. To learn more about individual treatments, click on the links below. Or check out our knowledge center for general information and important facts you need to know. Call 352.265.8402 or contact us today to schedule a consultation. Initial, nonsurgical aesthetic consultations are free.